This page is a work in progress. I will be continually adding to it. 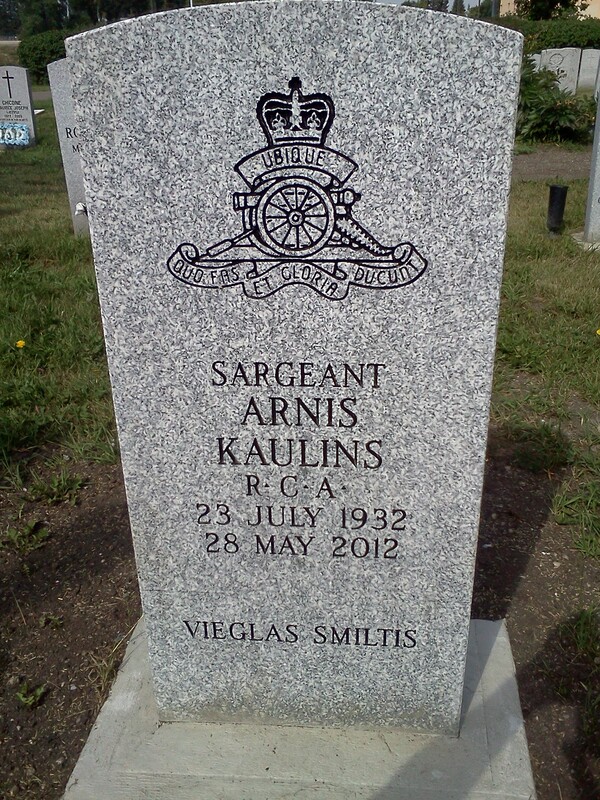 Arnis Kaulins passed away at 240 pm on May 28, 2012 at the Brandon General Hospital. 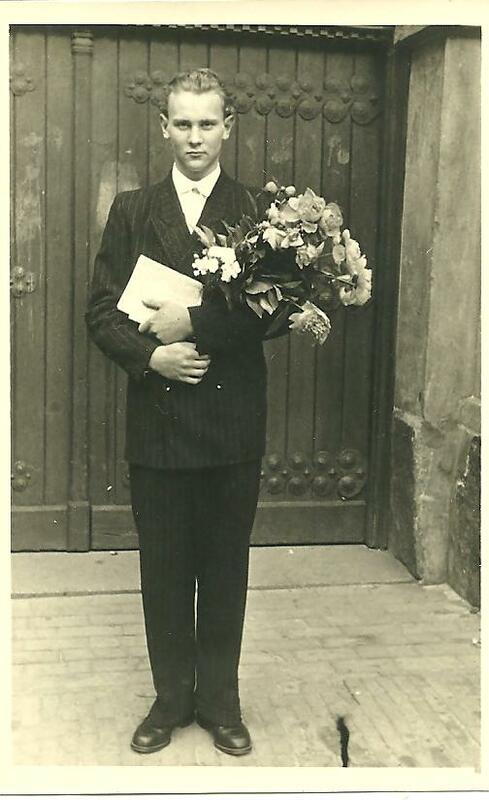 Son of Adolfs and Iruna, he was born in Riga, Latvia on July 23, 1932. 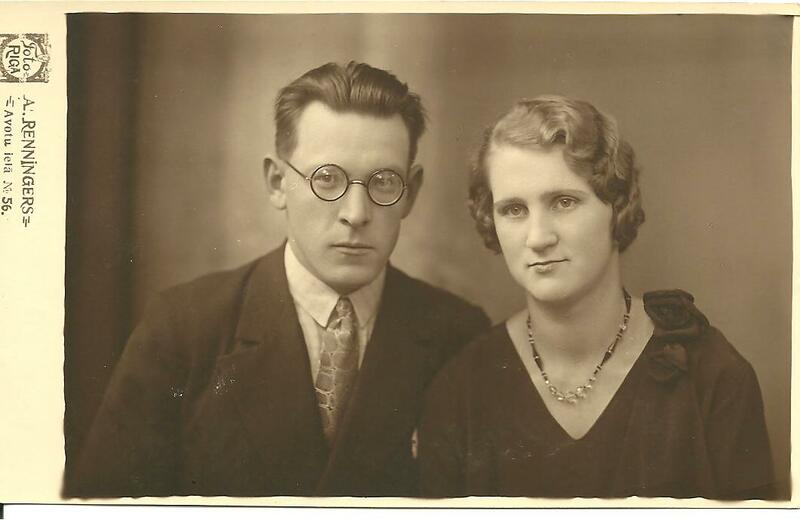 With his family, he left Latvia on October 5, 1944 to escape Communist Atrocities. 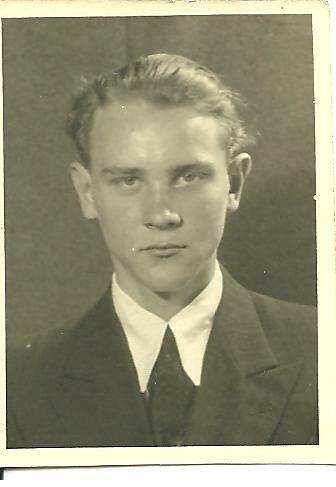 He was a refugee in Germany till the end of WWII. 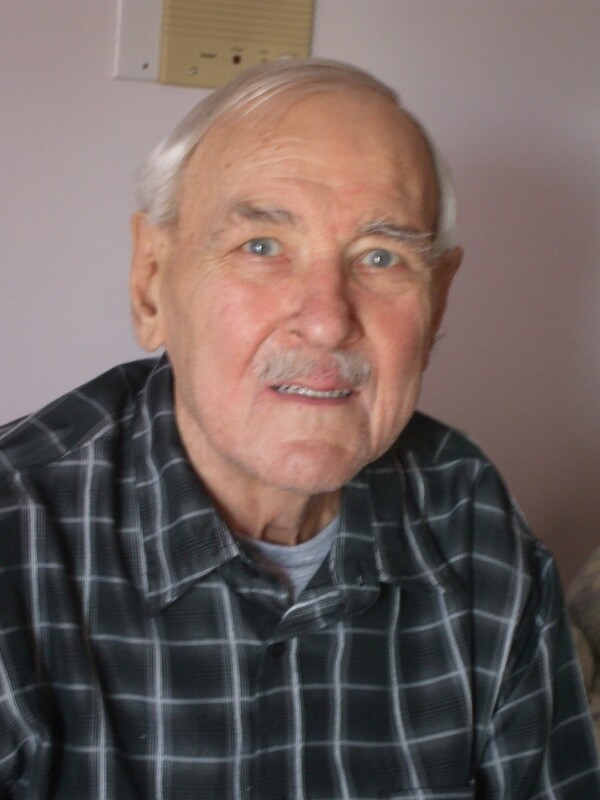 He was then a displaced person in Germany until he was able to emigrate to Canada, arriving in Halifax on September 15, 1950 on the U.S. Troop Ship “General Harry Taylor.” Taken by train to Ajax, Ontario, he signed a one year contract with the Canadian Government as a general laborer and became a farmhand in the Brandford area. 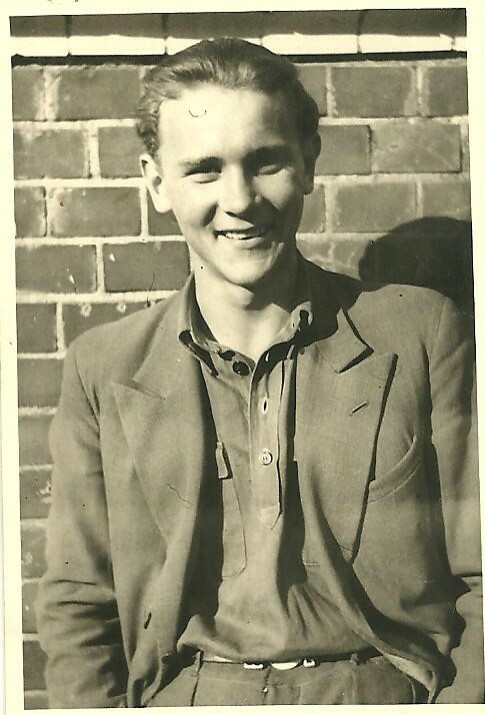 Finished the contract, he then worked for flower growing companies in Brampton, Ontario for two years, then as a carpenter on construction in Toronto and after as a buffer in a leather factory. 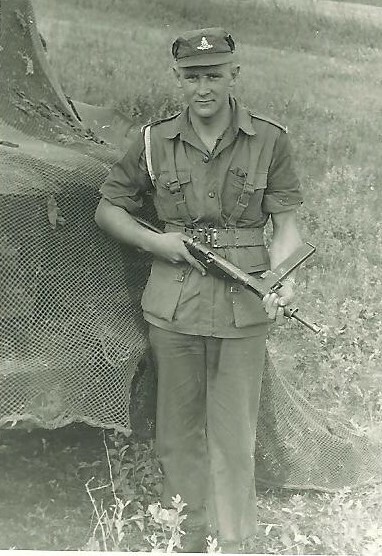 In March 1956, he joined the Canadian Army as an Artilleryman. 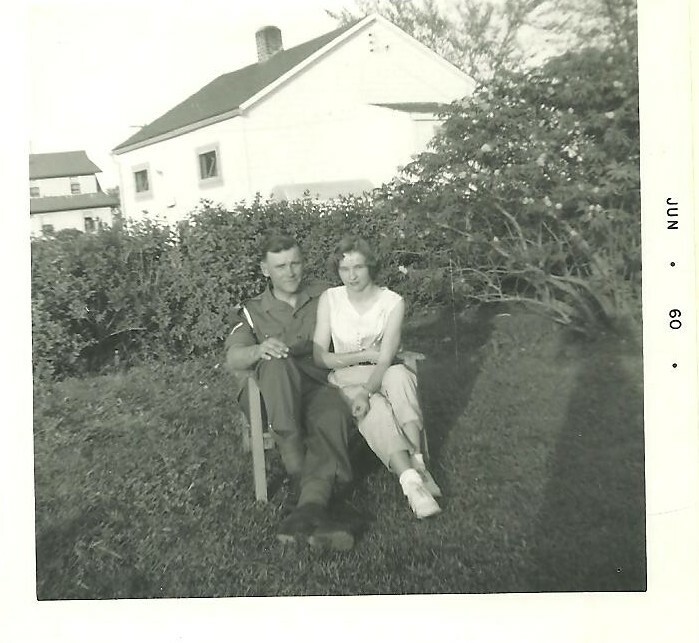 He received basic training in Winnipeg, Manitoba where he then joined 2 RCHA, E Battery. He received his Canadian citizenship in 1957. 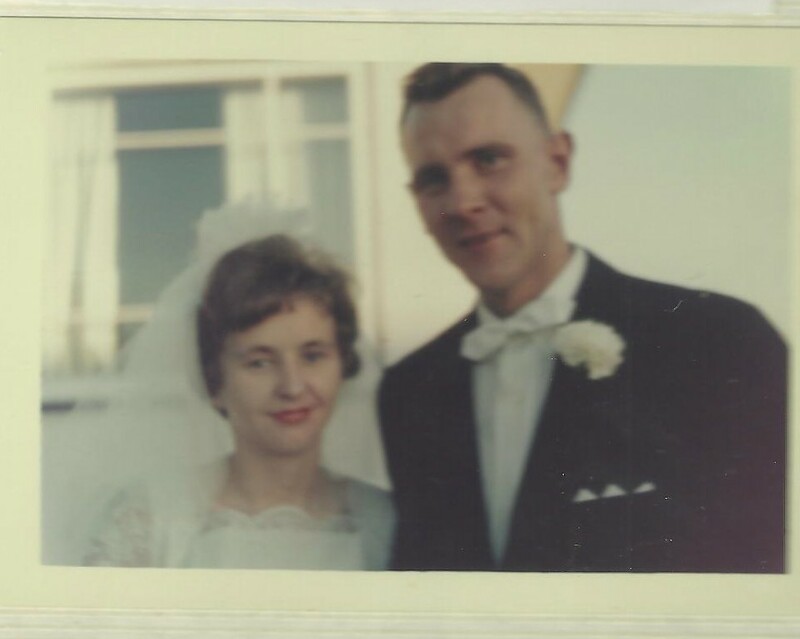 In 1962, he married a Latvian girl, Aina Ruza, a nurse in Winnipeg’s St. Boniface Hospital. 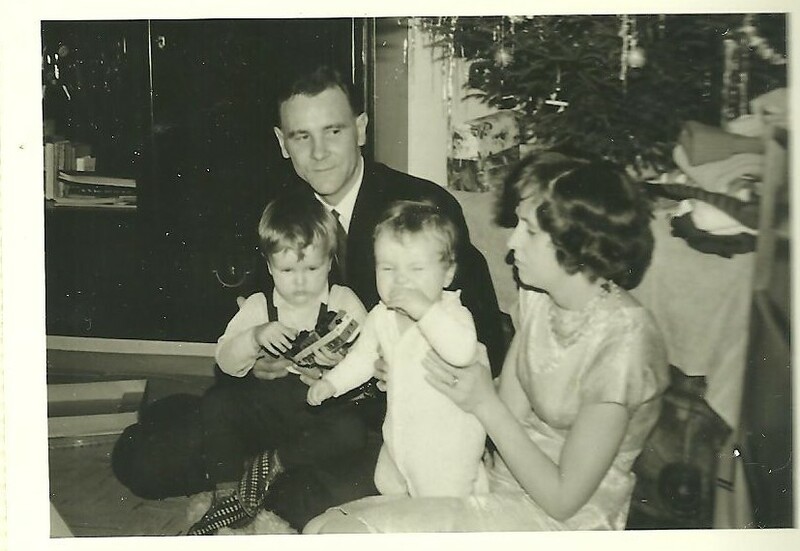 He was posted to Germany, from 1964 to 1967, where his first two children Andis (1964) and Benita (1966) were born. 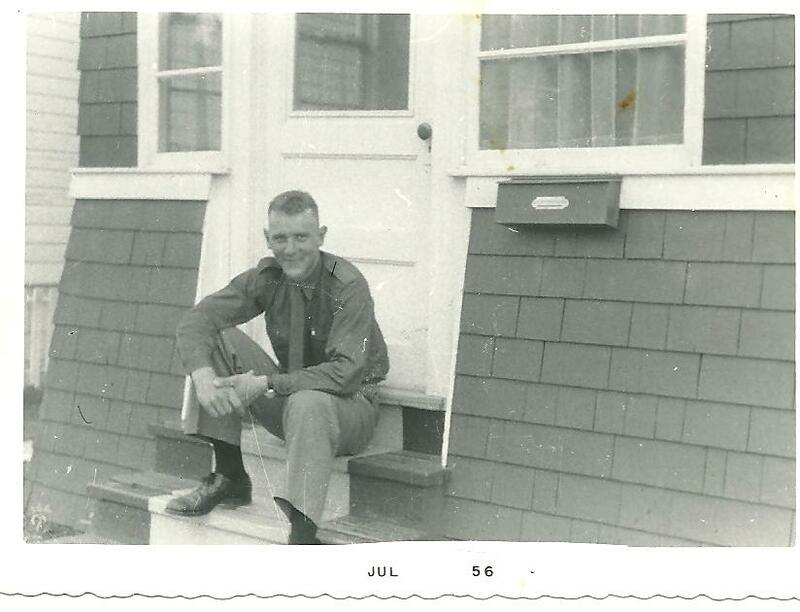 Returning to Canada, he was posted to CFB Gagetown, New Brunswick. 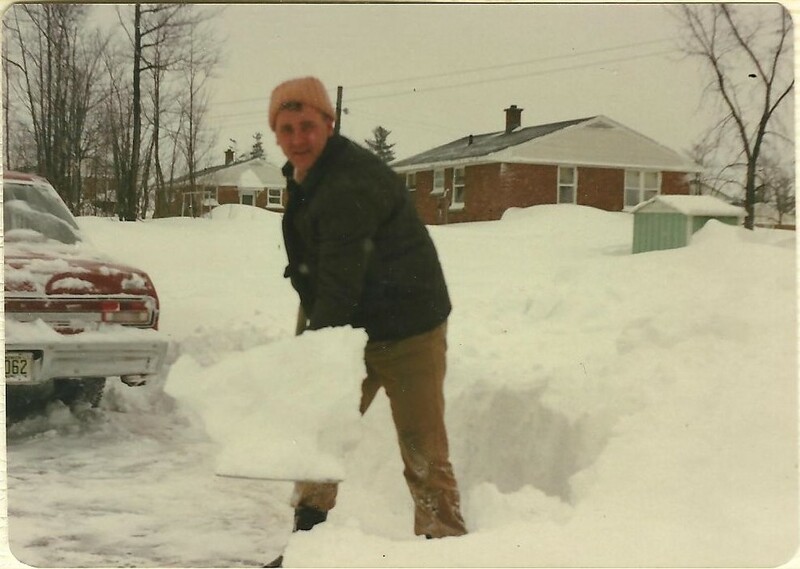 From 1971 to 1976, he served with 5 RALC in Valcartier, Quebec during which a third child Ron was born (1972, Loretteville). 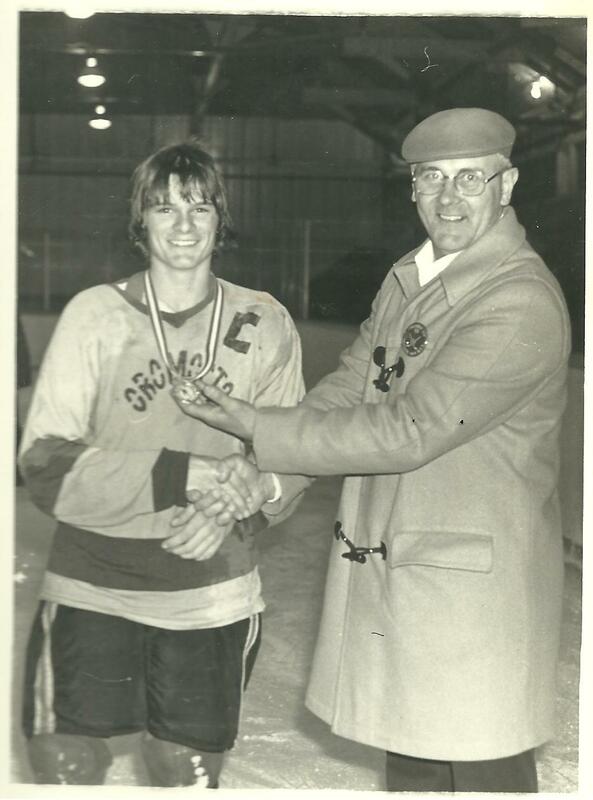 In 1976, he was posted to 3 RCHA in Shilo, Manitoba. 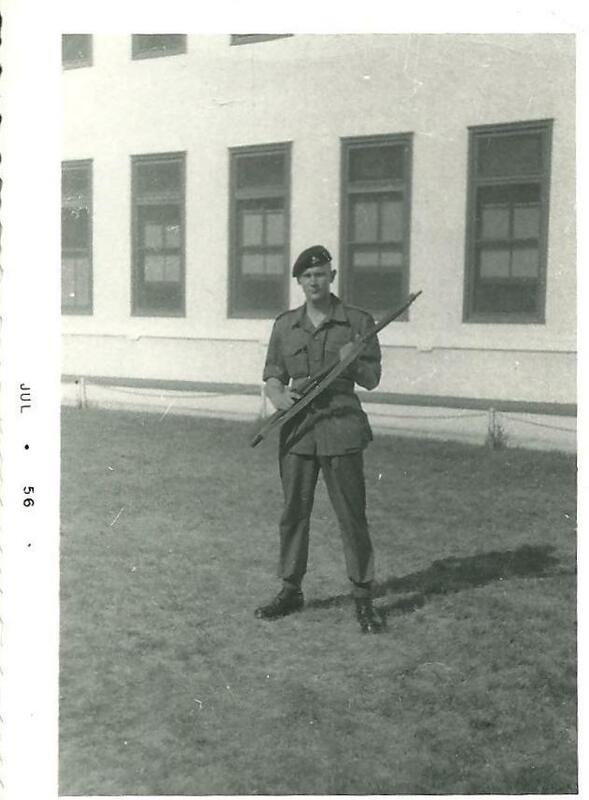 From 1977 to 1980, he returned to CFB Gagetown. 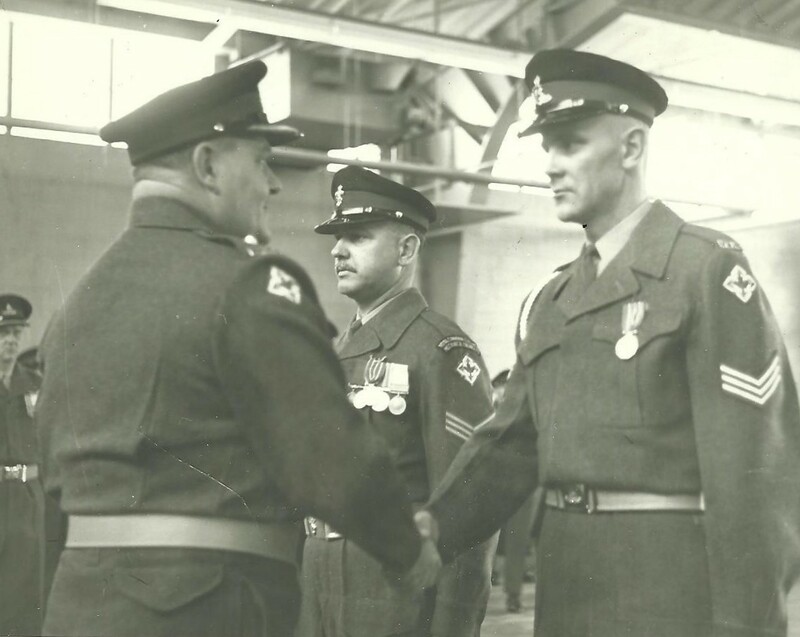 His final posting was to Shilo, Manitoba where he retired with the rank of Sergeant after 26 years and 4 months of service with the Canadian Armed Forces. He bought a house and settled in Brandon, Manitoba and for 10 years worked as a security officer for the Manitoba provincial government. He retired in July 1992. 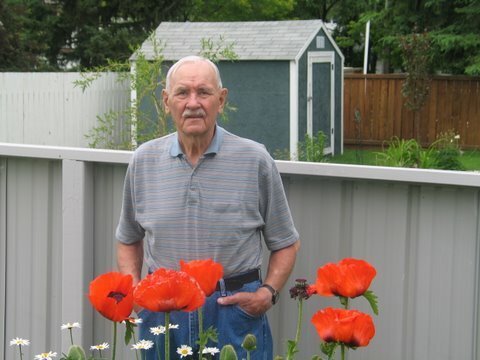 Arnis spent his retirement involved in a variety of voluntary activities and working on his garden in the backyard of his house. He is survived by his wife, three children and three grandchildren Kyle, Stephanie and Anthony. This eulogy is divided into three parts: gratitude, acknowledgement and request. It takes the form of a prayer. 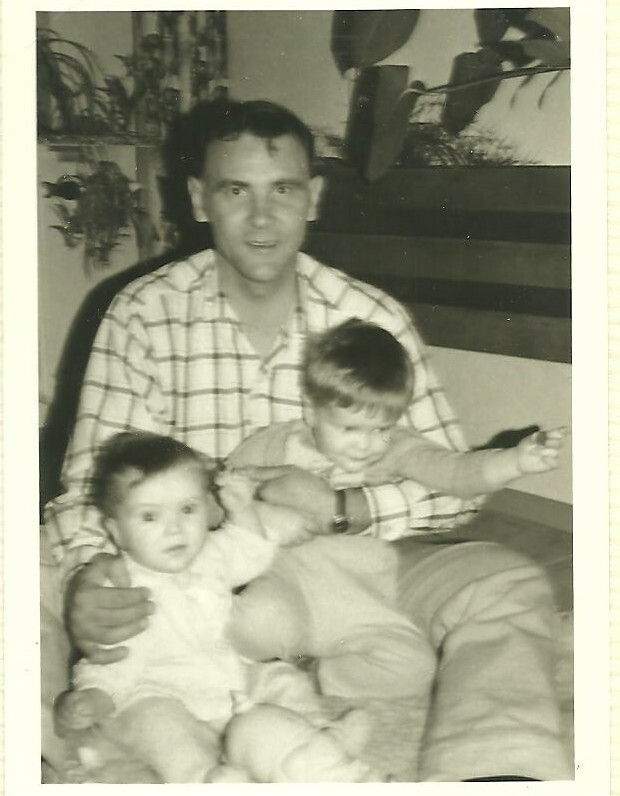 I wish to express my gratitude to my father Arnis Kaulins. Thank you Dad for giving Benita, Ron and me life. Thank you Dad for raising us. 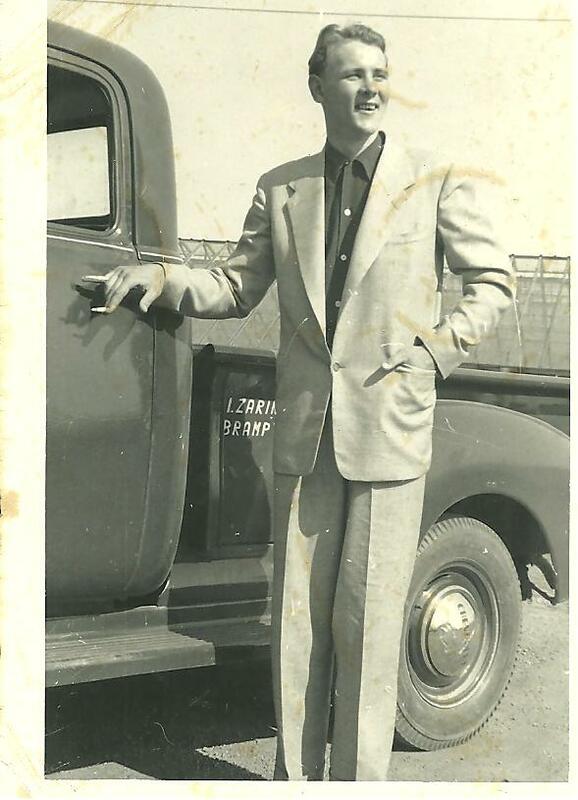 Thank you Dad for all those Sunday Drives and the journey that our childhoods were. Thank you Dad for taking us to all our extracirricular activities. 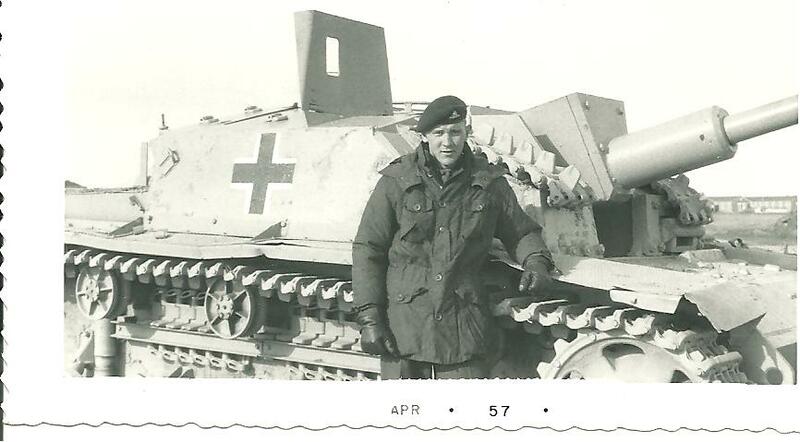 Thank you Dad for the all the care packages sent to us whether we were in Sasktachewan or B.C. or China. It is hard to find deordarent in China.Let me tell you it was certainly appreciated. Thank you Dad for never forgetting our birthdays. 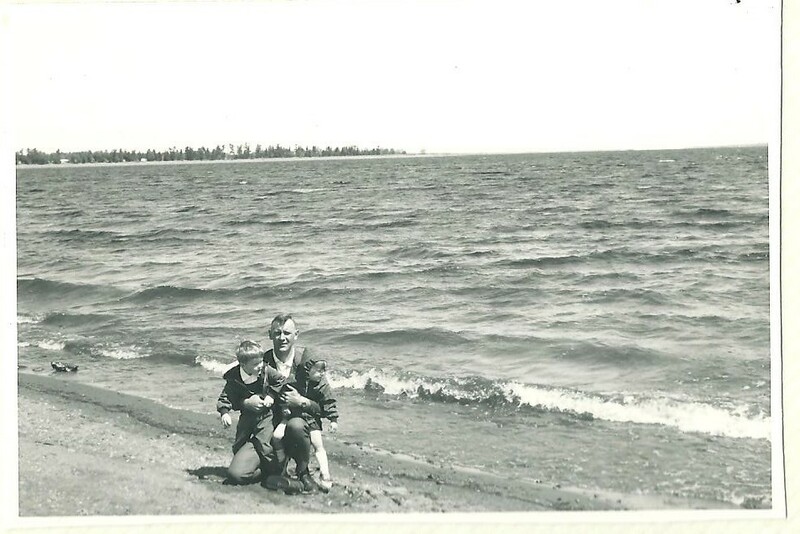 Thank you Dad for the camping trips and the cross-country train rides and drives. Thank you Dad for all the cheesy gifts. Oh! How I going to miss those combination screwdrivers and can openers. I will never ever again be able to look at one and not think of you. Thank you for our first bikes and cars. Thank you for never ever giving up on us and for making us who we are. And finally, thank you for being with Mom all these years. We, your children, acknowledge that we all separated in your later years. The birds fled the nest you had built. We really wanted the joys of our childhoods to return. So when we mourn, the child in us mourns the passing of the Arnis who was our Super Dad. And I will end this eulogy with a few requests. Let’s honour Arnis by remembering good-old Arnie, That he spelt kaulins with a “k,” that he was a great gardener, that he came from a small country Latvia, that he served in the armed forces of this great country of Canada, and that a fulfilling life is not one in which we take but one in which we give our time to others. 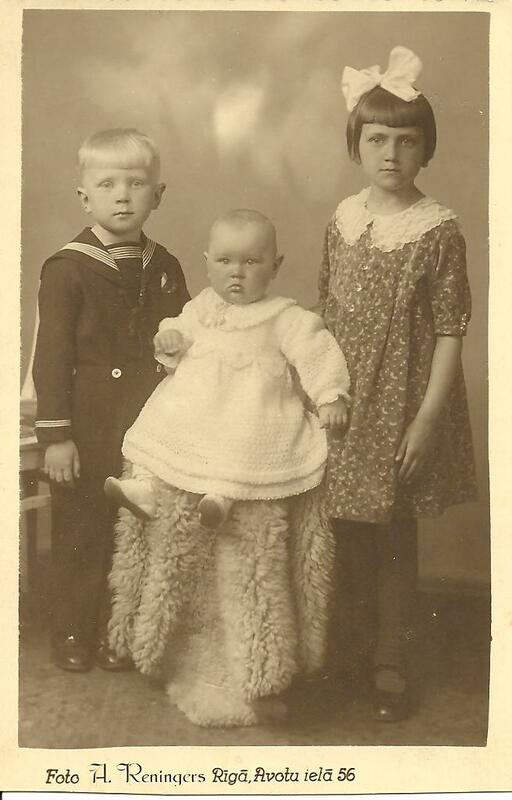 Arnis is the baby in this photo. He sits between his brother Migauns and Sister Skydride. 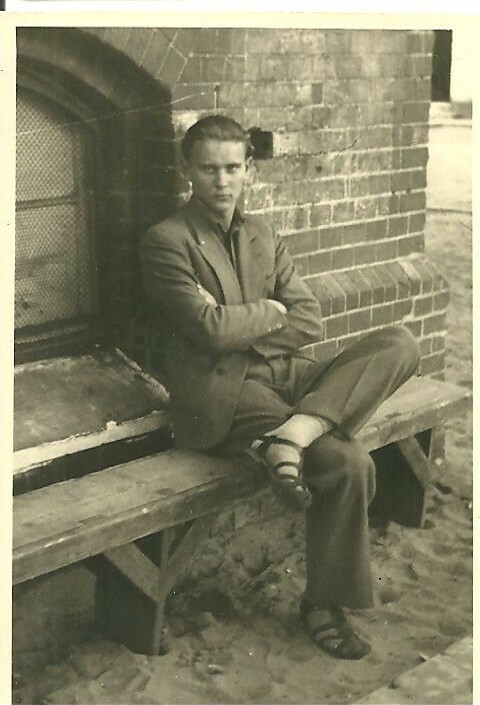 Arnis as a teenager. 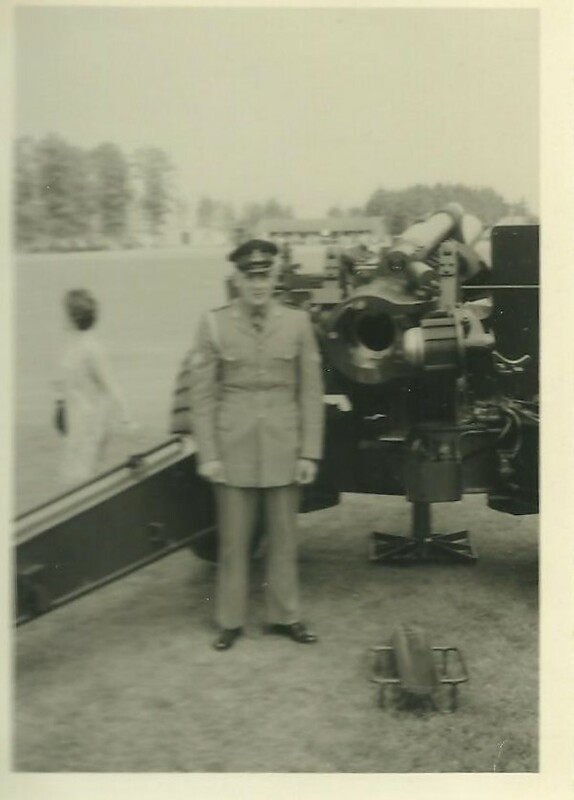 I pulled this from my father’s 1945-50 album. 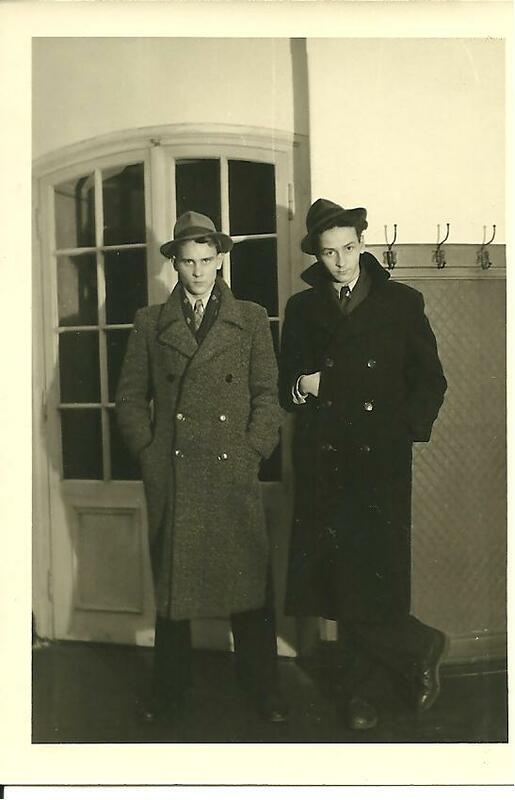 Also: Arnis and his brother. 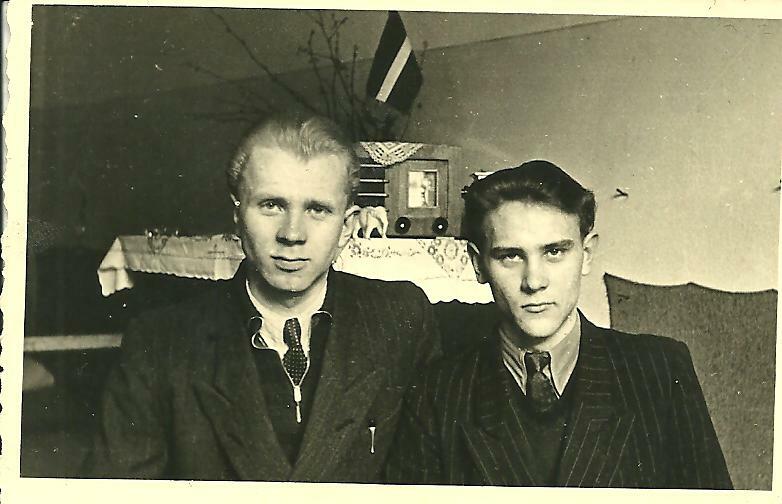 Note the Latvian flag in the background of the photo below. 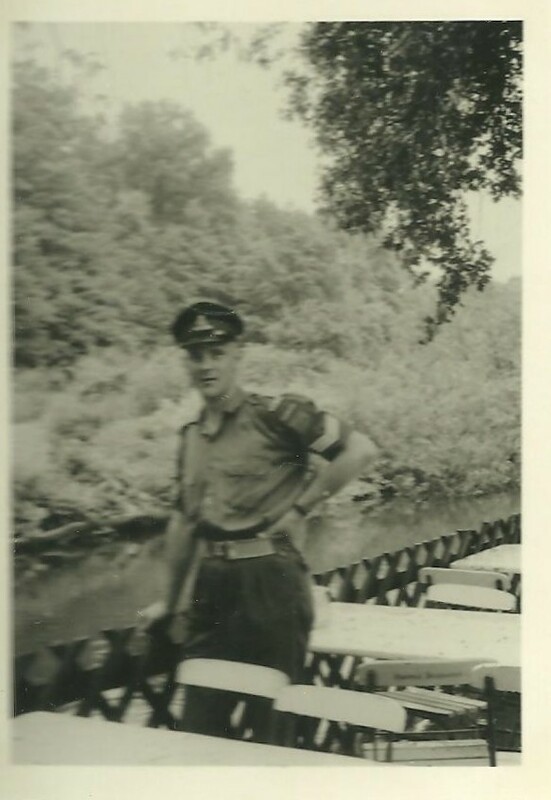 Dad served in the Canadian Army for over 25 years. 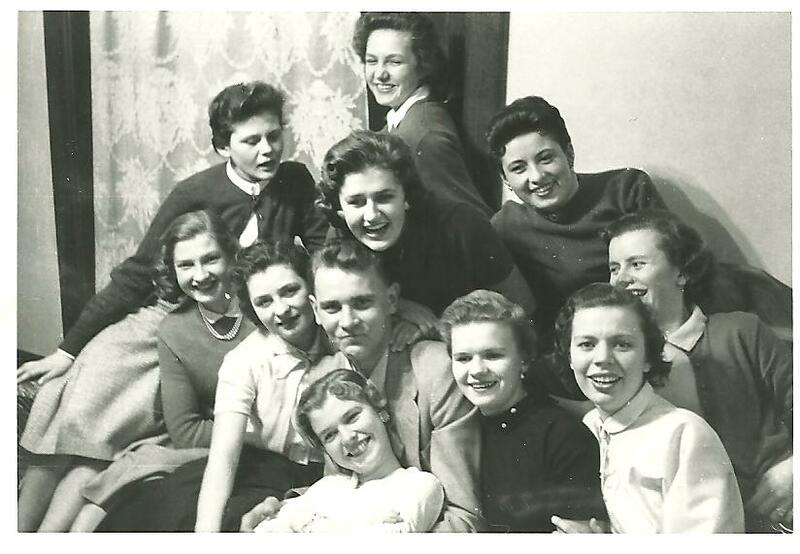 These photos are from the 1956-57 album. 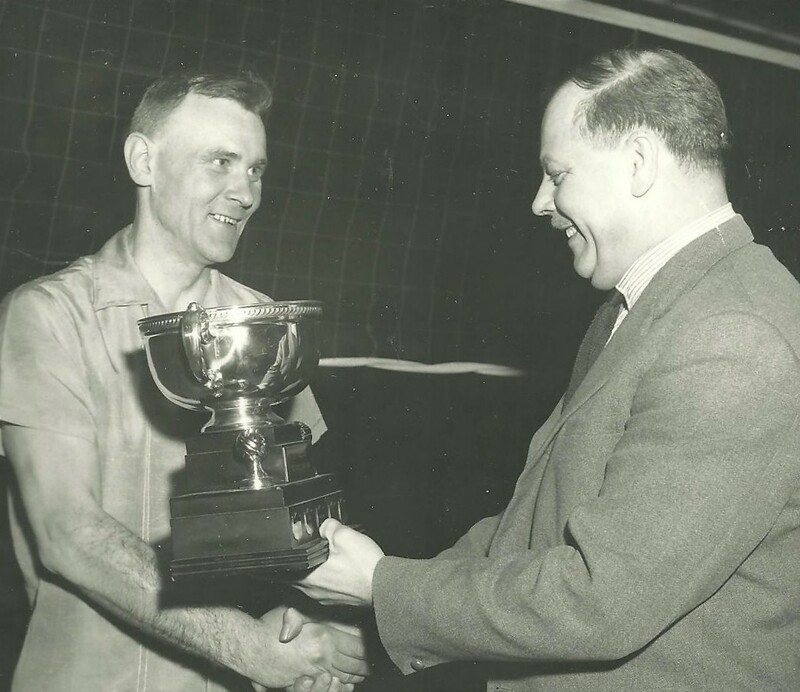 Dad loved playing Volleyball. I remember once, in the 1970s, he took me to see the Canadian Women play the Japanese Women’s Volleyball Team. 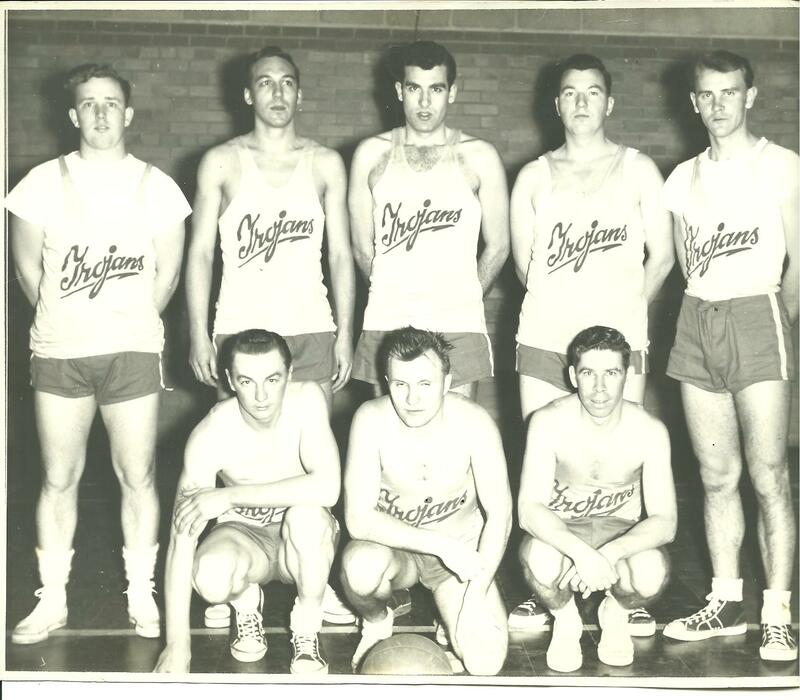 In the team photo below, he is the handsome man on the right hand side, back row. Dad looks so cool in this photo! 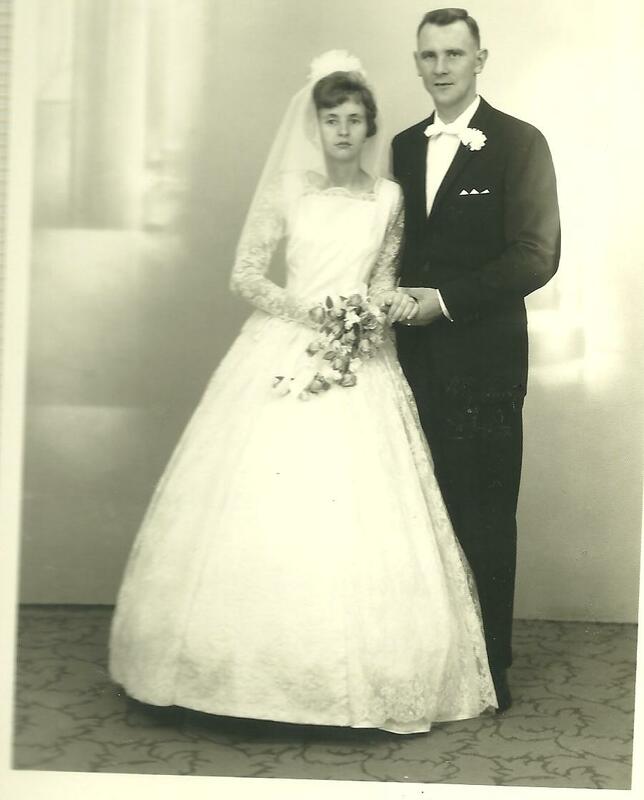 Arnis and Aina married in August 1962. Arnis didn’t live to celebrate their 50th wedding anniversary. 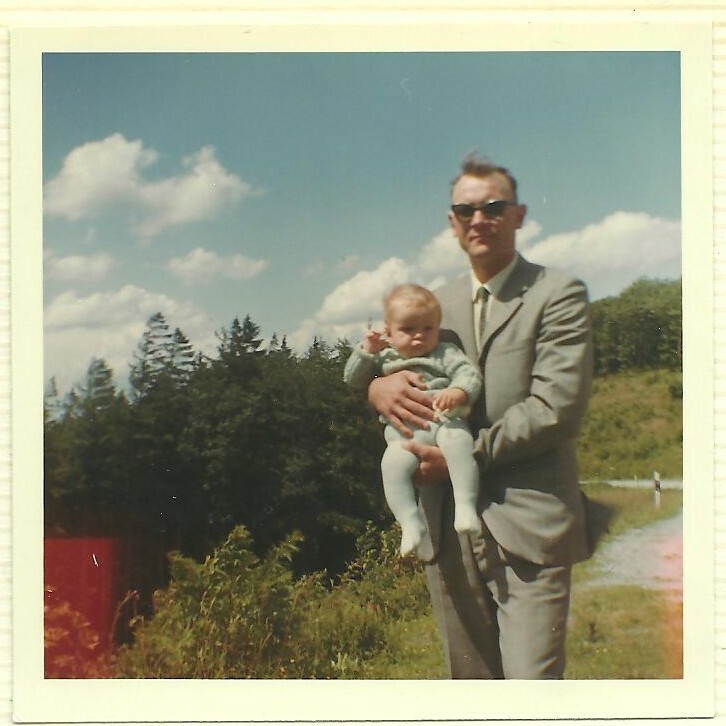 Suit and Sunglasses, Dad holds onto me! 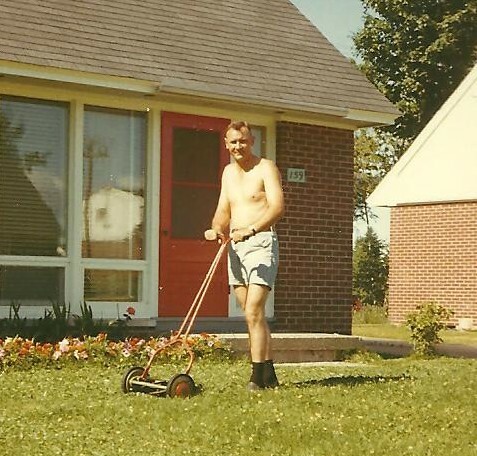 That’s Dad mowing the lawn at our PMQ in Oromocto, New Brunswick. Notice how he mows the lawn old-school. 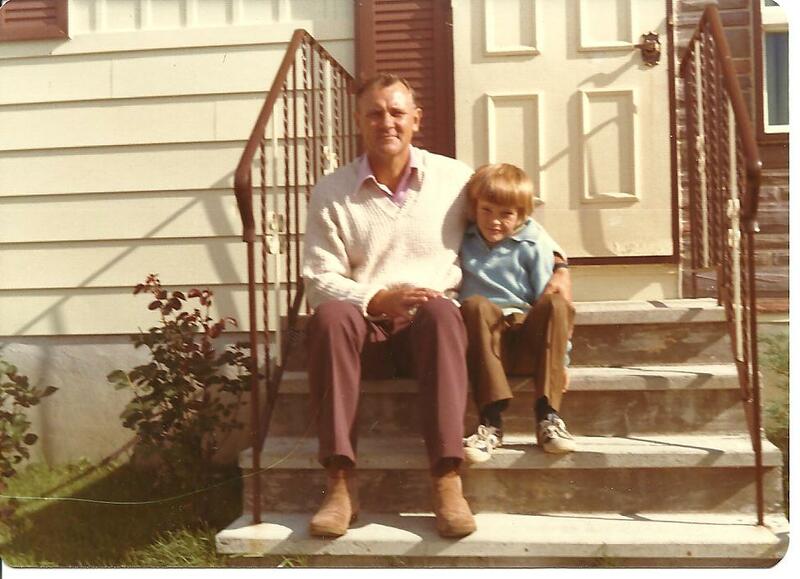 Dad and I sitting on steps of a house we had in Quebec in the 1970s. 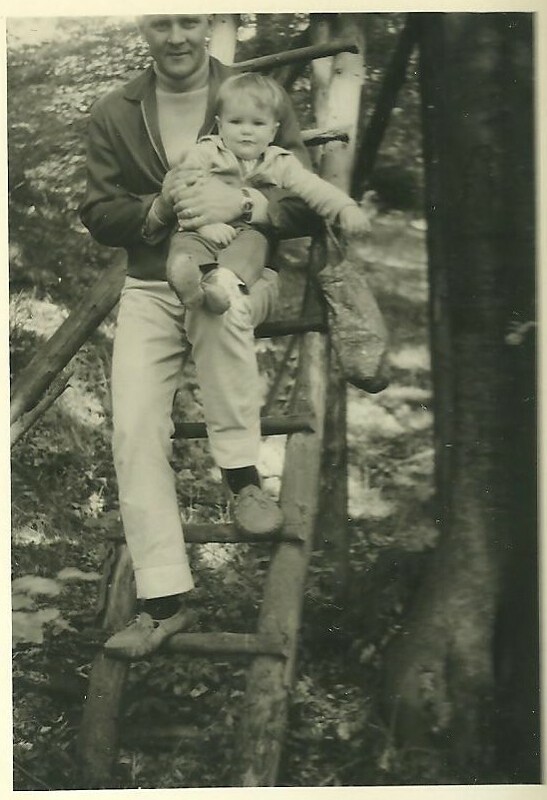 This was the time when, in my mind, Dad was Super-Dad. 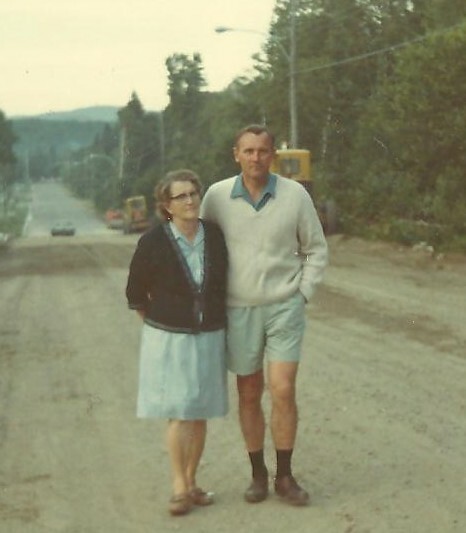 Dad and his Mom walking on a road in Quebec about 1972. This photo must have been taken around 1990. It is one of my favorite later photos of Arnis and me. Dad had three children. 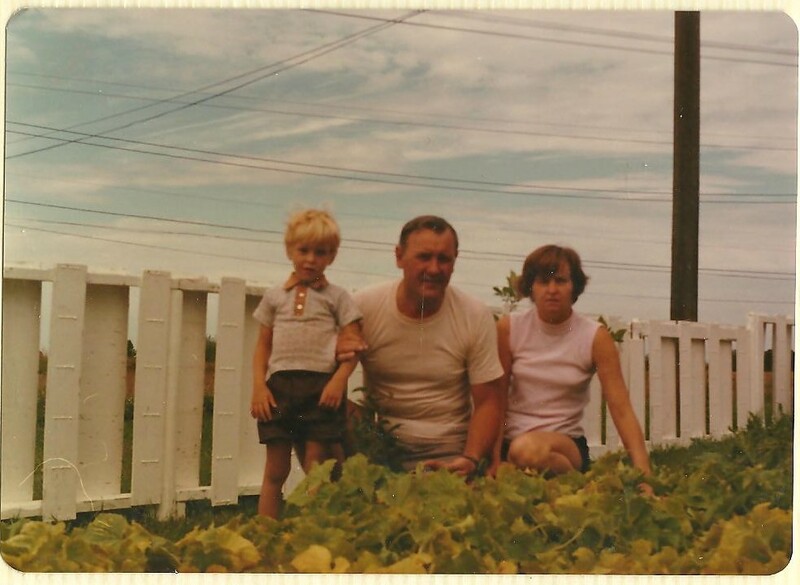 Below, here he is with Me, Baby Ron, and Benita. All three of his children were at his bedside at the time of his death. 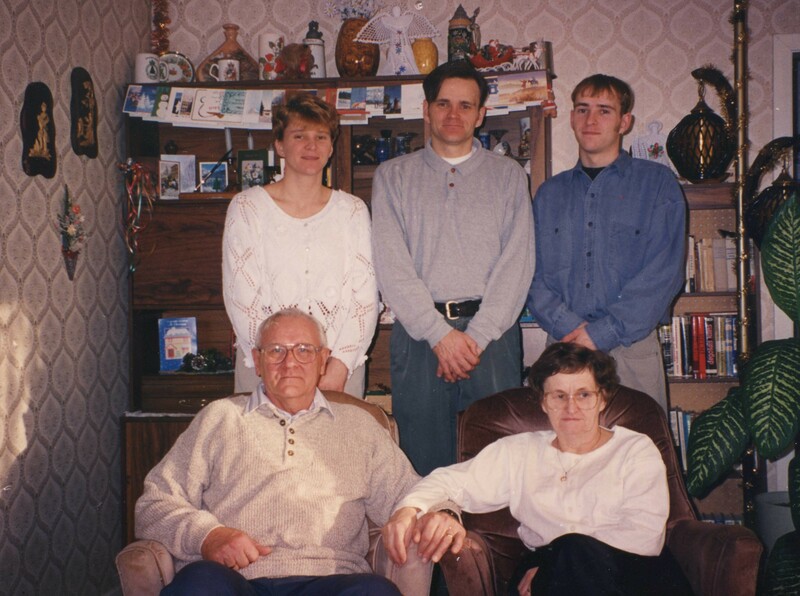 This photo, the last I can find of the family together was taken around 1990. 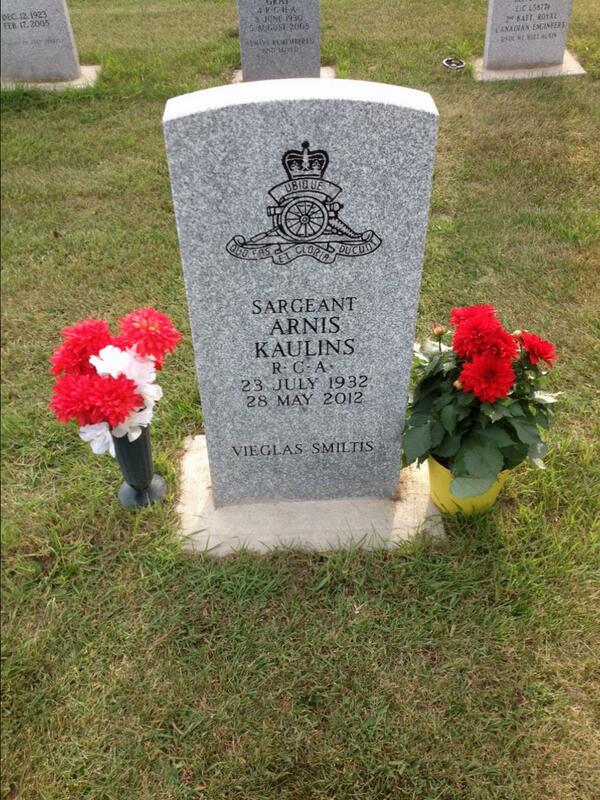 Arnis Kaulins was an avid gardener. 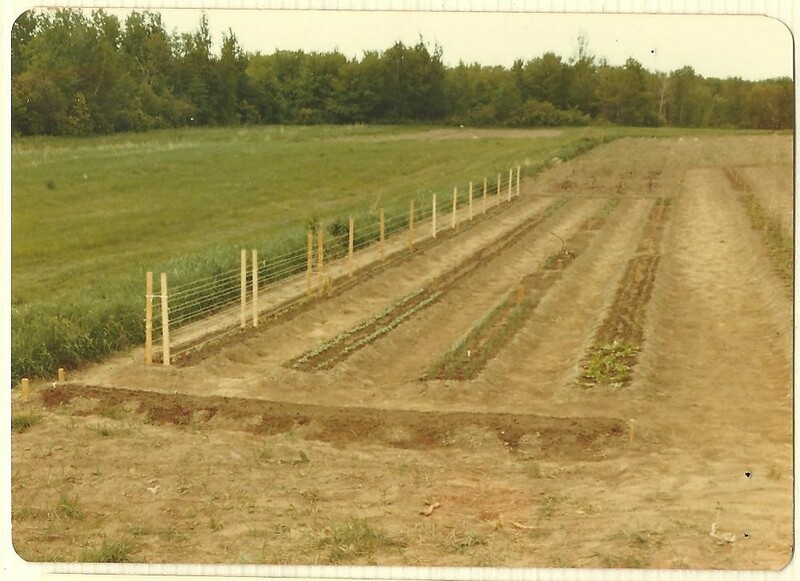 Here is a field he rented in New Brunswick in the late 1970s. I spent many a weekend wandering around the area. 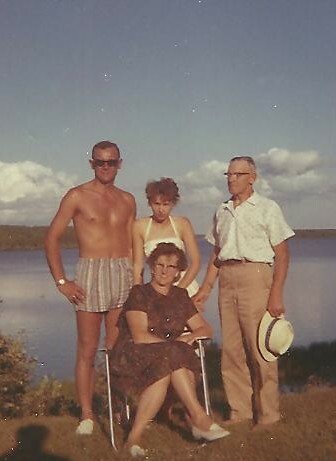 Dad loved Latvia, but he also loved the country that he would spend the rest of his life: Canada. One of the last photos I took with my father in 2010. In 2012, I got to Canada in time to see my father in the hospital. My father’s gravestone. It is located in the Veteran’s Cemetery in Brandon, Manitoba, Canada. My father died a year ago today. In preparation for this anniversary, I have spent the month of May collecting my thoughts about. The sentences in this entry deserve to be tortured. 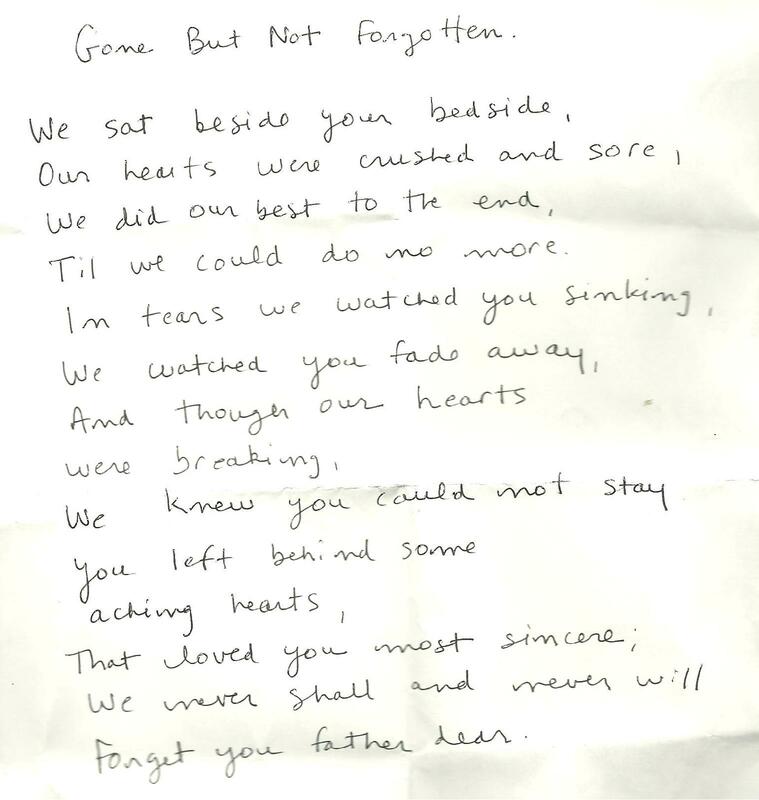 It is the least I could do to honor my father’s memory. I will first say that the following thoughts are disjointed and a little on the frank side. 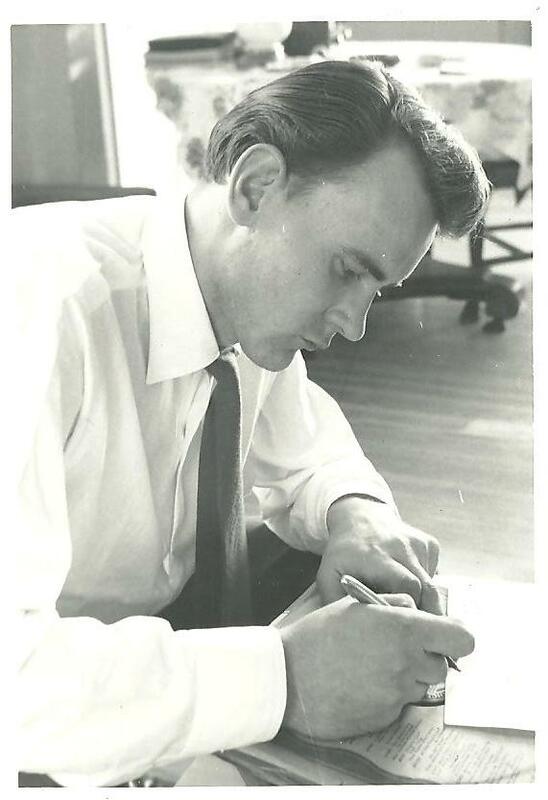 I have thought a lot about my father since he died last year. Perhaps, more than I ever did while he was living. I suppose this is because it is easy to think of him in now the abstract and in a sentimental manner. My sister did say that she didn’t want to end up like him, but felt like she was ending up like him anyway. I have to admit that I have similar feelings. 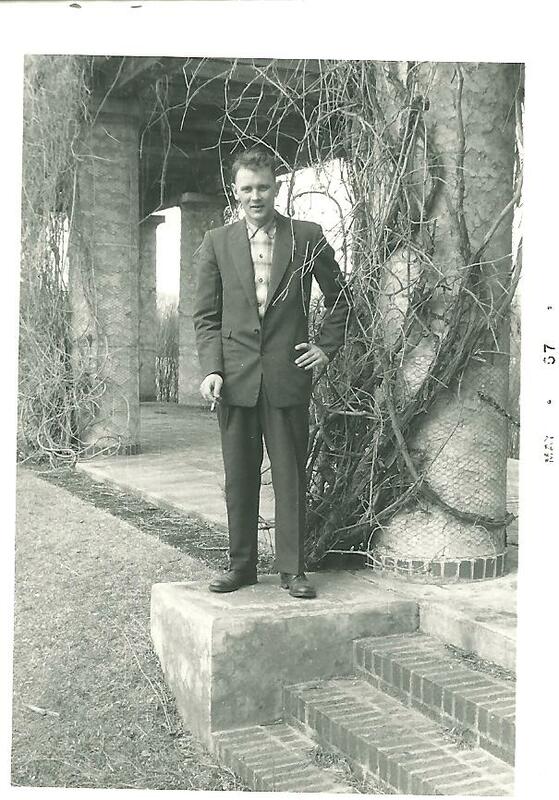 Dad was not a terrible man, but he wasn’t successful in the ways the world defines what a successful person should be — he wasn’t rich and never could afford to take a vacation to Florida or Hawaii or Vegas, and he drove a lot of crappy cars. 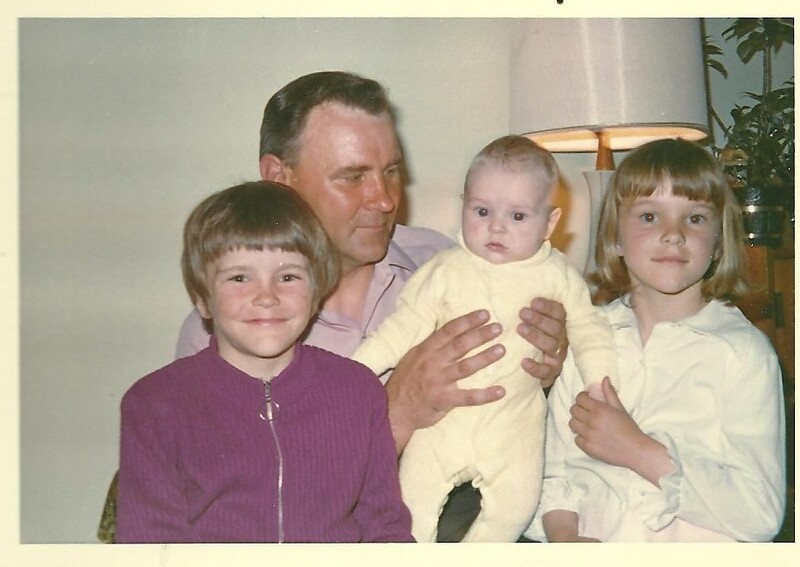 I am well aware of the good that was in him and how he gave his three children a proper childhood, and that as a father, I will probably fall short of what he did for me when I think of what I will be able to do for Tony…. 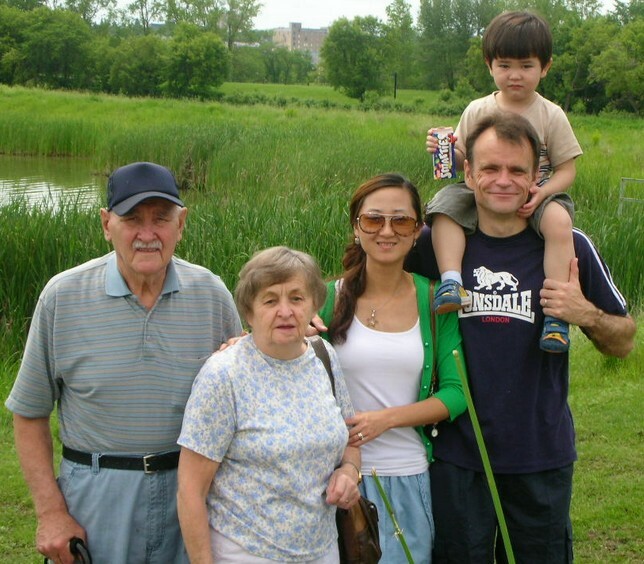 My Dad did volunteer to help in the community — something most Chinese would never do. Anyway, there is your evidence of my disjointed thought about Dad, and that is why I this piece about him will be in bullet form. I can’t think of how to make a coherent essay about him. I still mourn his death. Whether it is healthy or not for me to do this, I can’t say. Hopefully, I never get over it. One of few goals in life — how my goals diminish as I get older and resigned to not accomplishing them — is to get back to Brandon and visit my father’s gravestone. It wasn’t ready when I left Canada. I have just seen photos of it. I hope he is in a better place. That he would be in oblivion seems such a monstrous proposition that, even if it is true, it is not something to be hoped for. The fact that he is gone and I can’t, in this life, ever speak to him again sometimes gives me an sharp ache and a pang of pain that could only be assuaged by there being an after life. When told that his days were numbered, my Dad took the news admirably. 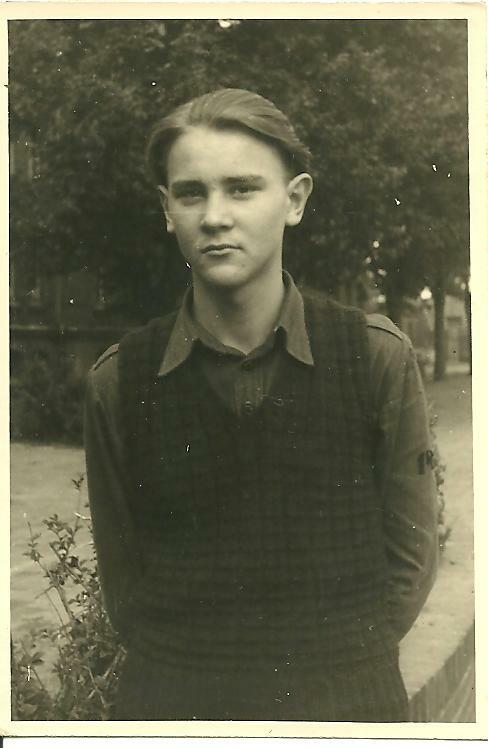 He calmly accepted the news and only asked that the fact that he was an artilleryman in the RCA and his Latvian heritage be put on his gravestone. When I first came to the hospital last year, I saw my father* before I was quickly, with my brother and mother, taken to see the doctor who told us that Dad’s prognosis was not good. We were given the choice of keeping him on the meds, which the doctor said were only delaying the inevitable, or taking him off them. 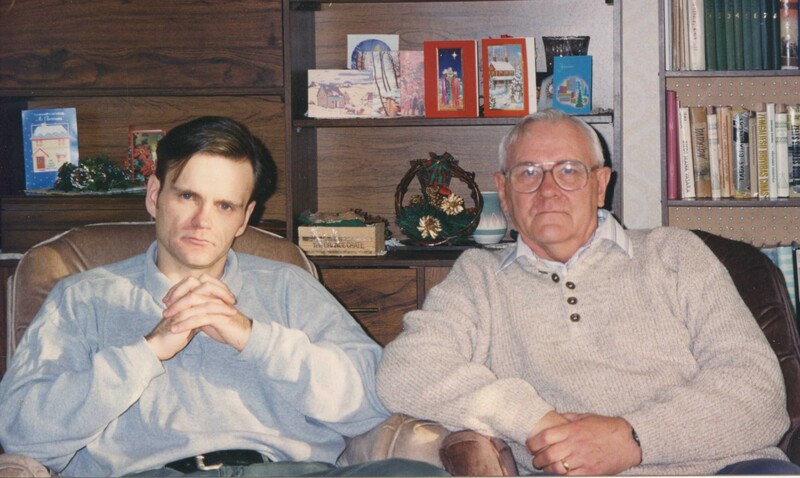 Having been so far away from Dad in his final years, I felt I didn’t have the right to have a say in the decision. I was also horrified by the thought of how it would fit into my schedule. I shirked it. The decison was made to take him off. I felt impotent and weak and cowardly as I never had before in my life, as I just let it happen and thinking how I should be saying: No! Let him live as long as possible! I hoped by having Tony and thus giving my father a grandson that I would somehow redeem myself with respect to my father. Alas, I didn’t see much of him in his last years, and I didn’t phone him as much as I should have. It does let me off the hook somewhat to know that he was the most avid reader of my blog, and he was constantly printing out the photos I published of Tony and Jenny. 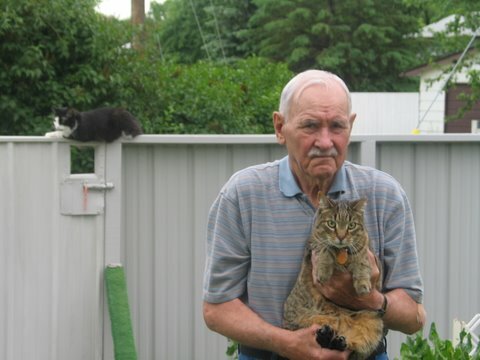 My father was a lonely man for the last years of his life. 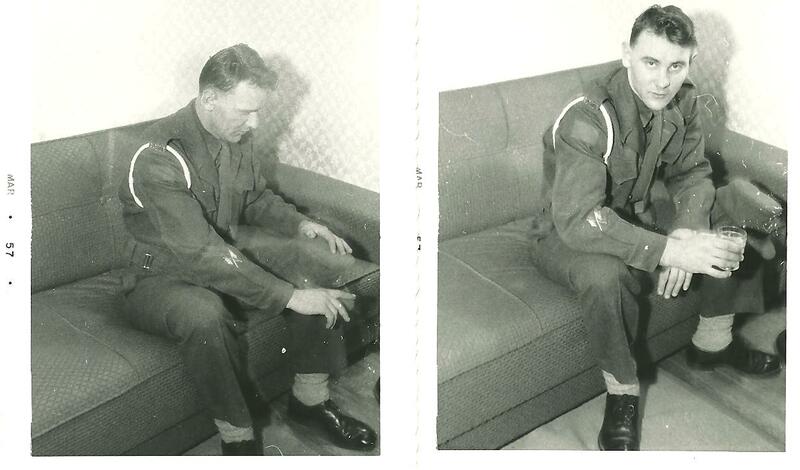 He stayed in Brandon and was reluctant, out of pique or principle, to visit the relatives in Winnipeg. By his thinking, Winnipeg was a big city. On the scale of things here in China, he was so wrong, and yet I find myself aching for small town quiet that he espoused and I initially rejected. My father was a supporter of Socialism; I was at first, but then wasn’t. 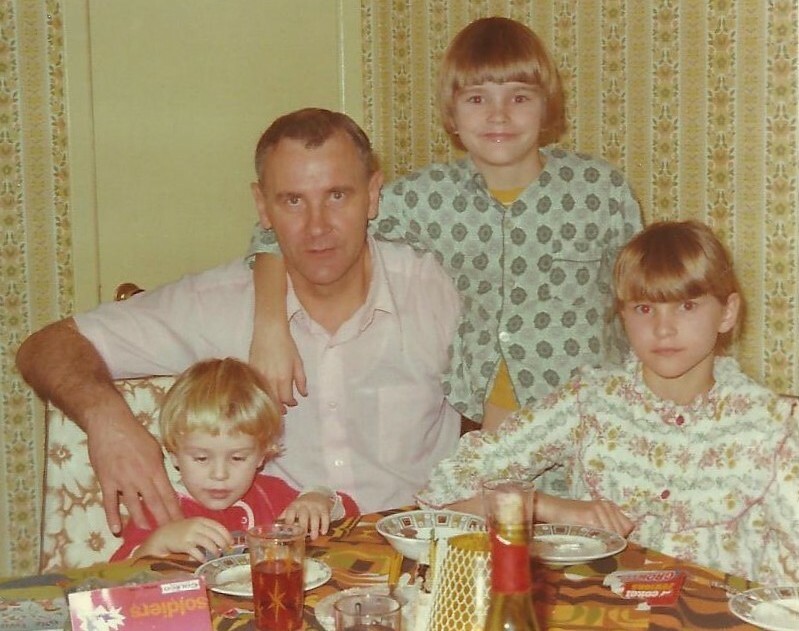 Dad, I could say, was earnest in his Socialism and Leftism, and was not one to smarm and smirk like present day leftists do. My father was a Leafs fan. [I suppose I could say that it was good he wasn’t alive to see the Leafs blow it in 2103.] He tried to make me one when he bought me a Toronto Maple Leafs hockey game, but for whatever reason when I began to watch hockey, I became a Montreal Canadiens fan. I should have mentioned that in my funeral eulogy last year — the acknowledgment part. One of the last bits of current news we talked about before he passed away was the NHL playoffs. The Kings were the finals, he knew. However, he didn’t survive to the end of the final. As I was saying, my father was a lonely man. On the second last night of his life, I lay in a bed that was put besides his in the hospital room. I recall that the noises of the machines startled him and that also several times through the night he picked up the phone, like he was expecting a call. From whom? I wondered. And why? I always have these strange fantasies, despite knowing full well that they couldn’t happen and I should stop having them, of some sort of Angel or figure coming and sympathizing with my plight. I wondered if my father had the same sort of need. As far as I know, the angel never called. But then we maybe see them in the afterlife. It runs in the family. The loneliness and the forced reclusiveness. 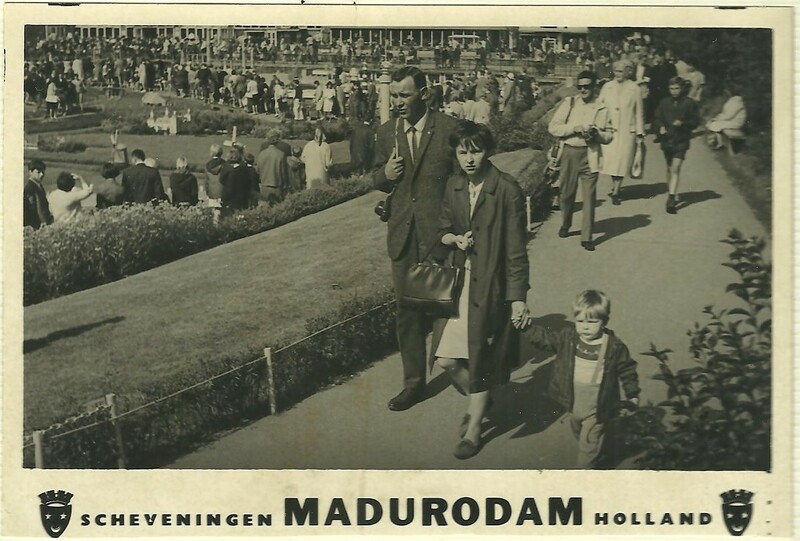 But there can be no doubt that modernity had an effect on our family too even though we were as plagued as many other families by modernity’s terrible ravages such as divorce and drugs and Materialism. 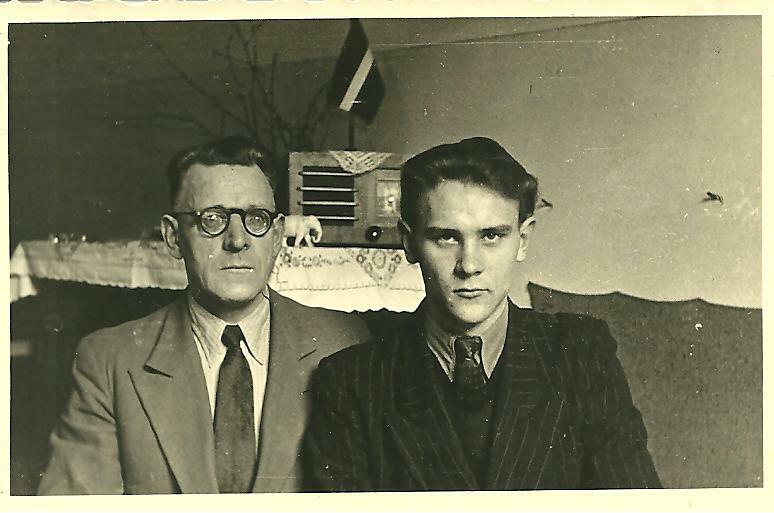 Father was born at a time and a place when momentous historical events were taking place. The Germans and the Soviets were at war, Jews were being exterminated, and his native country of Latvia was right in the midst of it. 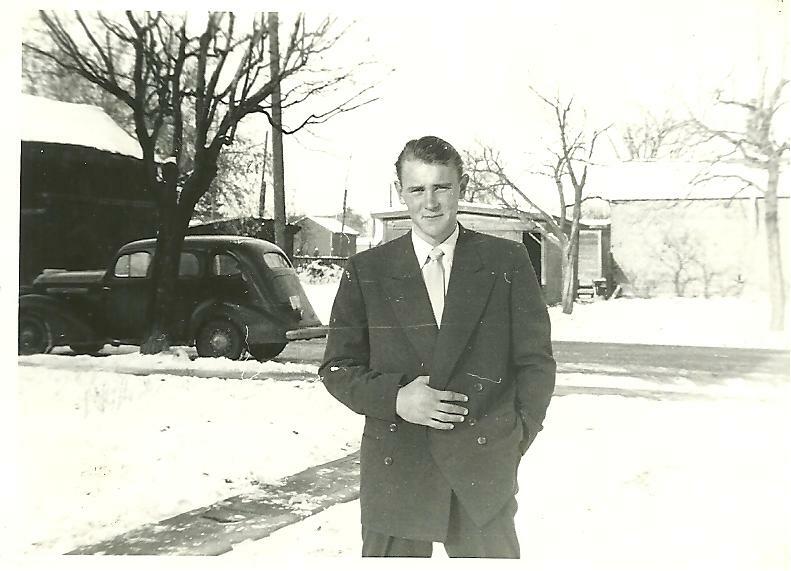 He and his family fled the Soviets and eventually came to Canada Thinking about that, one can understand his wanting to live in a small and seemingly boring place like Brandon. What my father religious? The Salvation Army volunteer at the care home where he spent the last month of his life, said he was attending services on Sunday. Perhaps, hedging his bets he was, but it was good that his funeral did have a religious aspect to it. Father & I unfortunately never talked about our religious views. I took this photo of my Dad’s gravestone on June 19, 2015.
the very-dark/black stones (rather grim) that some people prefer. But what is the translation of the Latin? And, the lower-inscription, which would, I presume, be Latvian? Latvian for Rest in Peace. Nice tribute to your Father, he certainly had a full and a fulfilling life. What is the Latvian for Skydride, the sister of Arnis? I’m asking because Skydride is not a Latvian name. I will have to ask my mom about that. That’s the name my father wrote in his autobio and I put in his obit. I suspect it might be Skaidrīte. Umm, I hope I’m not butting-in here. – Also, October 5th, 1944 was a truly momentous date in the European campaign, and in the larger history of modern Europe. The date that the Canadian 1st Army singlehandedly seized the (extremely!) crucial port of Antwerp, and from there, they continued-on to clear the Netherlands of Third Reich forces. (Ok, ok, I’ll go away now, and see what Wally Droop is doing today). Skaidrīte is a popular Latvian girl’s name. It comes from the word ‘skaidrs’ which means clear, bright, clean, pure, and so in some way is akin to Claire, Clare, Clara, Chiara etc. Extraordinary resemblance there, in the ‘Dad looks so cool” photo. And, did your Dad ever visit China? 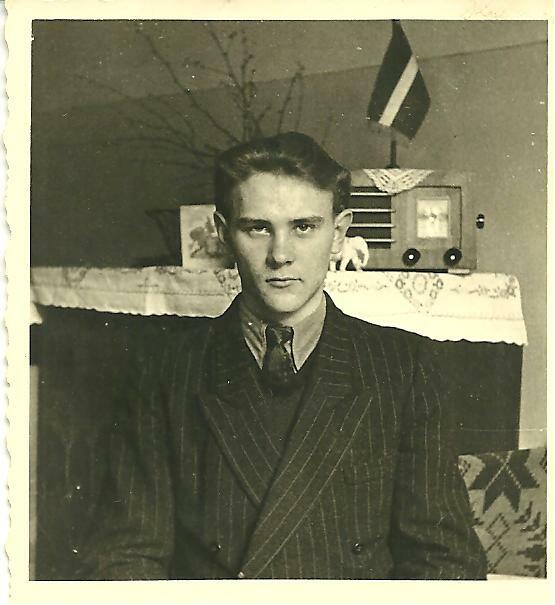 Would it have been dangerous to display the Latvian flag, i.e., prior to when those photos were taken 1945-50? My grandmother had one of those ‘old-style mowers at her place! ohh, brother, talk about hard work. Yet they did a good job. A very interesting story. You can be proud that your father went trough all the hardships of occupation, war and forced emigration and had the strength to bring up 3 children. I’m interested did you parents speak to you in latvian or did they pass the language to you at all? Thank you for the kind words. I wish I could have said those things in his eulogy. Sad to say, I didn’t much appreciate the hardships he went through till after he died. At least an occasional visitor to this page was able to see that. 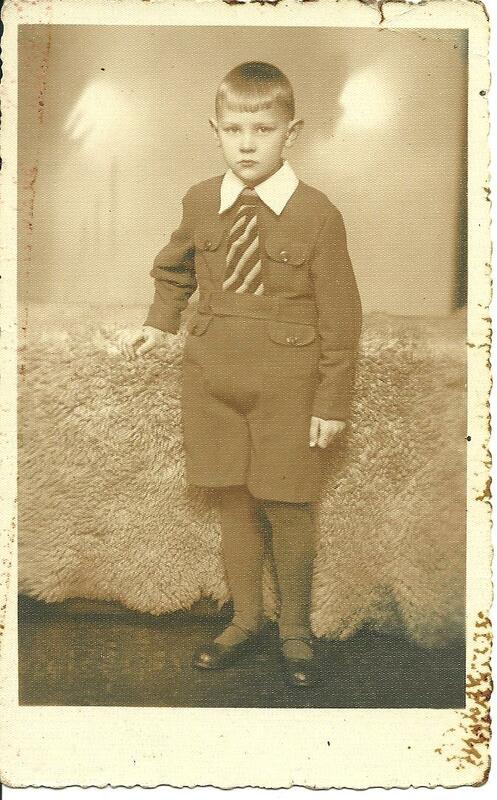 I am afraid my parents didn’t teach us Latvian growing up. 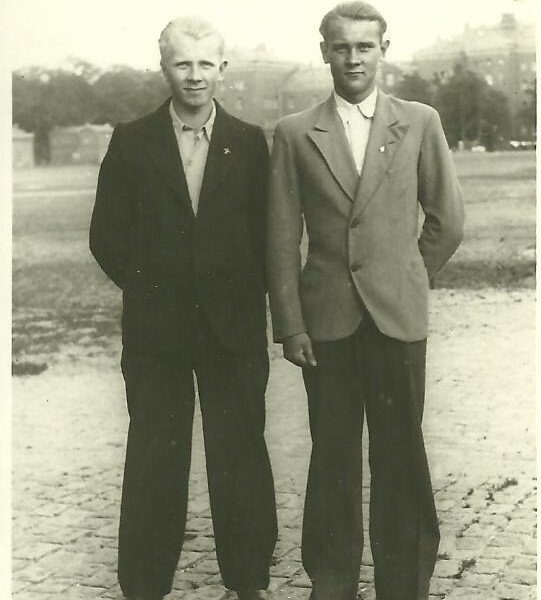 Being base brats, we never could attend any Latvian schools. Your words about my father will stick with me for the rest of my days. Only three weeks ago I was listening to Krista Tippett’s US-based online radio program, ‘On Being’. She holds a Masters in Divinity, and is of course, a committed Christian. But she said that whether we have a faith or not, we all retain the memories of those we have lost, in our minds and memories. Krista believes that in itself is the manifestation, the tangible evidence, or proof, of everlasting life:- that those we lose, always DO ‘live on’ in our memories, for generations, regardless of our views on traditional Christian teachings on that subject. Interesting perspective. Andis-I wanted to let you know that I read the whole web page you put together. I really enjoyed seeing all the photos. Uncle Arnis and I shared a birthday. We often celebrated with a cake in Auntie Ritma’s backyard! 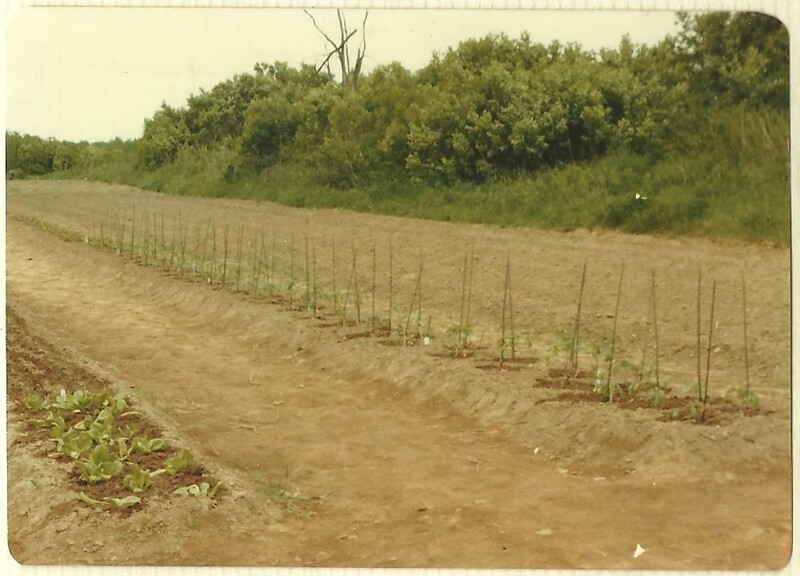 He talked to me about the Army when I joined in 1993 and when I was posted to Shilo in 2006 he showed us how to properly plant tomatoes in our garden!! I miss him too. I am glad you have fond memories to hang on to. You are not alone.